Colorado Park and Wildlife officials said no bear attack took place at Golden Gate Canyon State Park after a woman reported it to Gilpin County deputies Wednesday afternoon. 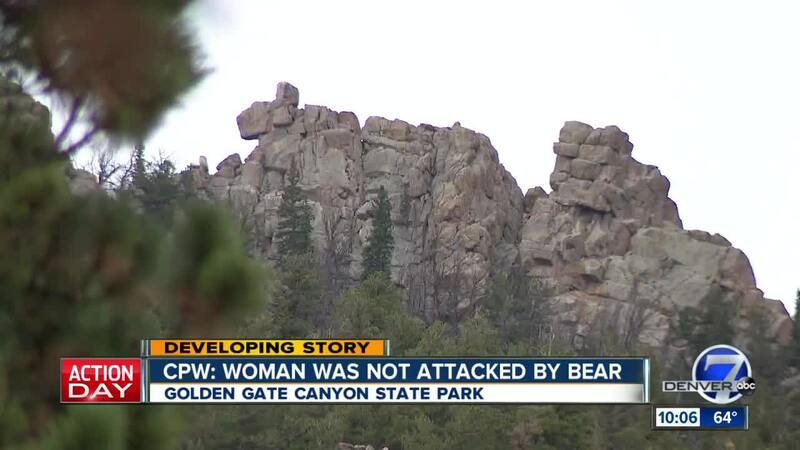 GILPIN COUNTY, Colo. – Colorado Park and Wildlife officials said no bear attack took place at Golden Gate Canyon State Park after a woman reported it to Gilpin County deputies Wednesday afternoon. The woman reported the alleged bear attack around 1:20 p.m. near mile marker 4 on Highway 46, according to CPW officials. They said she told authorities it happened while she was out hiking with her dog and was able to walk down a trail to an ambulance to be treated. But after an investigation of the area and a follow-up interview with the woman, CPW officials said that no bear attacked occurred. "Her injuries are not consistent with injuries from a bear attack or other wildlife life attack," said Colorado Parks and Wildlife spokesman Jason Clay. 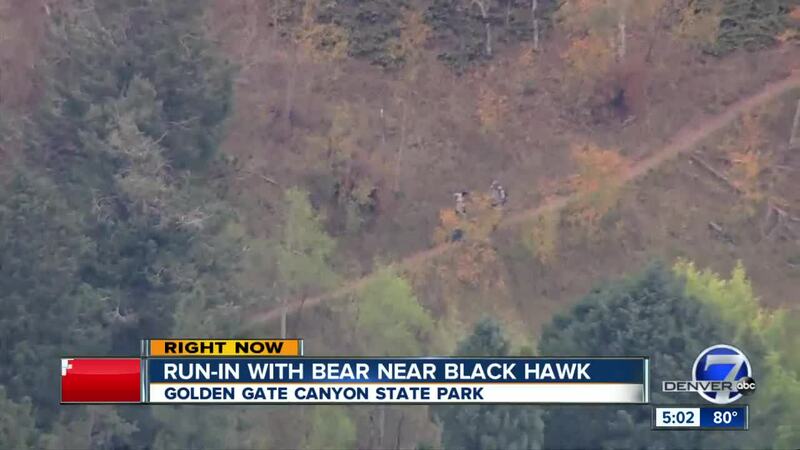 Wildlife officers as well as park rangers searched a two-acre area around the scene on the Coyote Trail at the state park, but did not find any evidence of wildlife active in the area, CPW officials said in a press release sent to media outlets Wednesday evening. The trail, which was closed during the investigation, has since been reopened and park officials believe the state park is safe for the public to recreate in. No reports of other injuries to another or animal have been received, officials said. CPW officials did warn hikers that bears are in the midst of feeding to ready themselves for hibernation and the coming winter. Clay told Denver7 law enforcement officials will continue to investigate the claim and act "appropriately" when it is complete.